Ladybug Crafts: Crafty Secrets stamps. 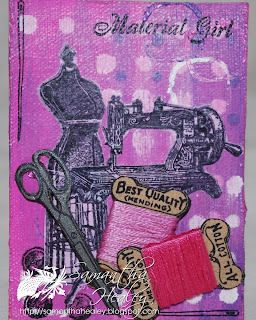 The sewing machine and tailors dummy are stamped onto tissue and heat embossed and them stuck to the card with mod podge. 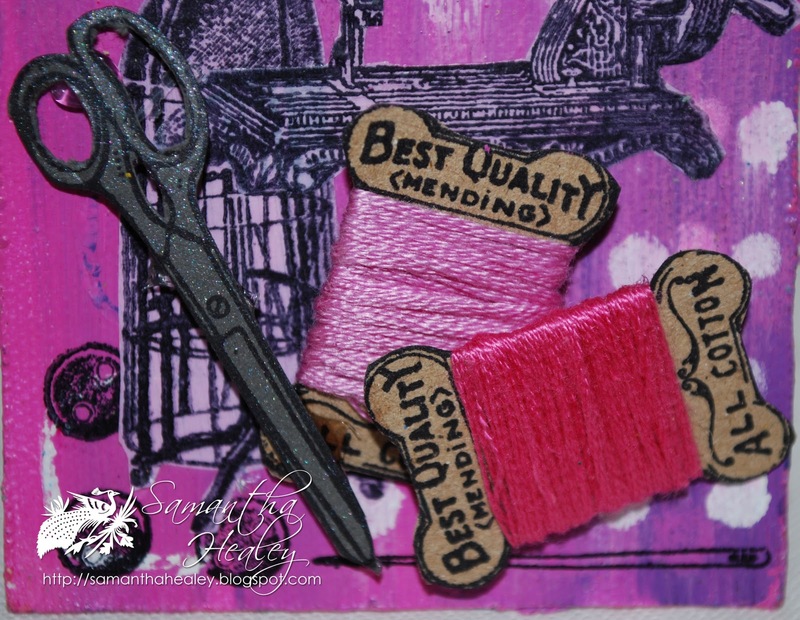 The scissors were stamped on silver card and the thread bobbins on kraft card with some thread wrapped around them. I stamped the 'material girl' and the needle directly onto the card. 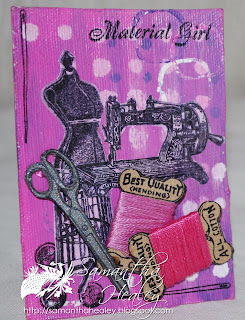 I stamped the ATC details on the back. 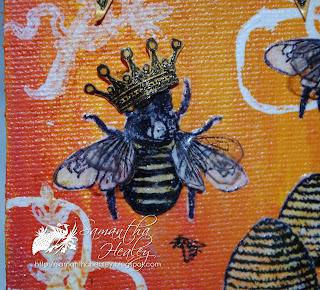 The bees and hives are stamped a d embossed on tissue as before and then mod podged onto the card. 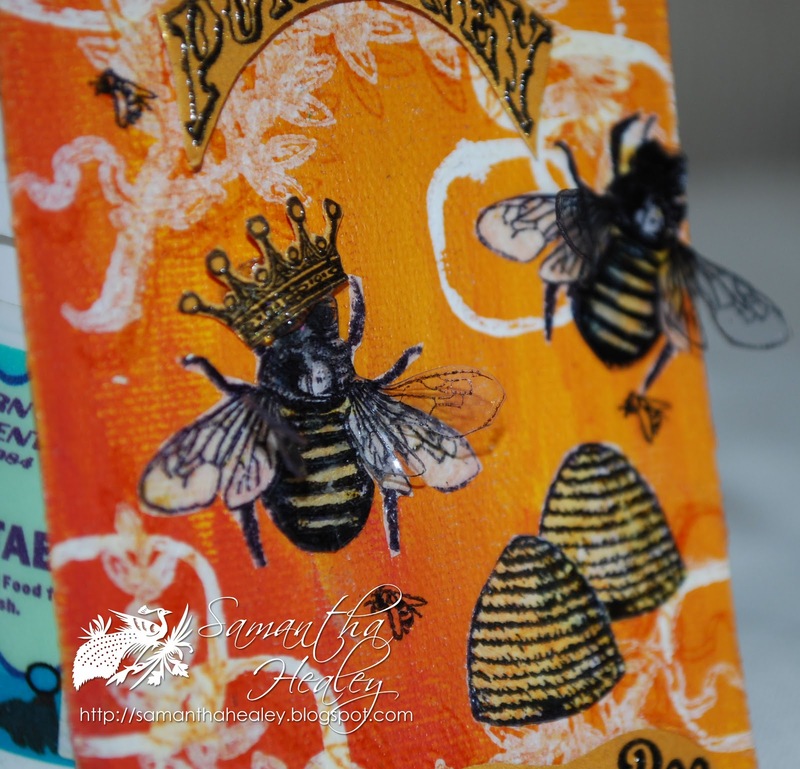 I then stamped them again onto Clearly for art then cut out and heated to bend the wings into shape - I then stuck them over the bees with PVA. 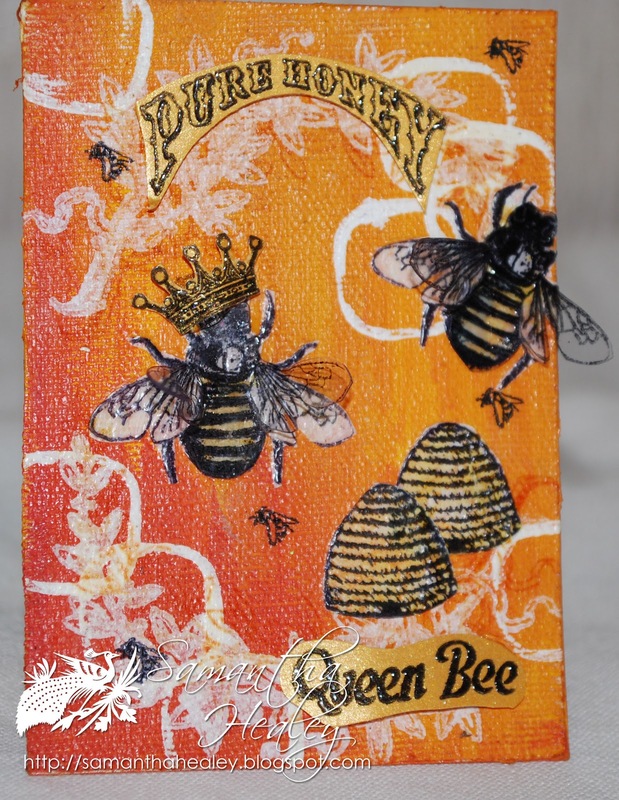 The 'pure honey, Queen Bee' and the crown are stamped and embossed on to golden coloured card and stuck on with Colall glue gel. 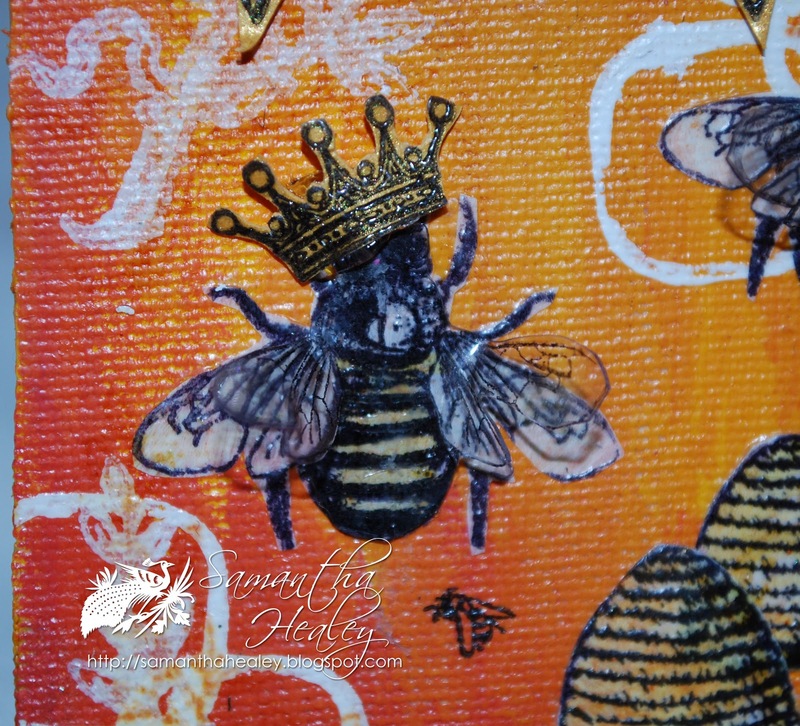 I added some of the teeny tiny bees directly onto the card. 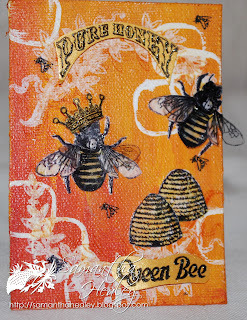 My husband, who is bee mad, has taken the queen bee ATC, but I thought I would give away the material girl ATC to someone who might like it. 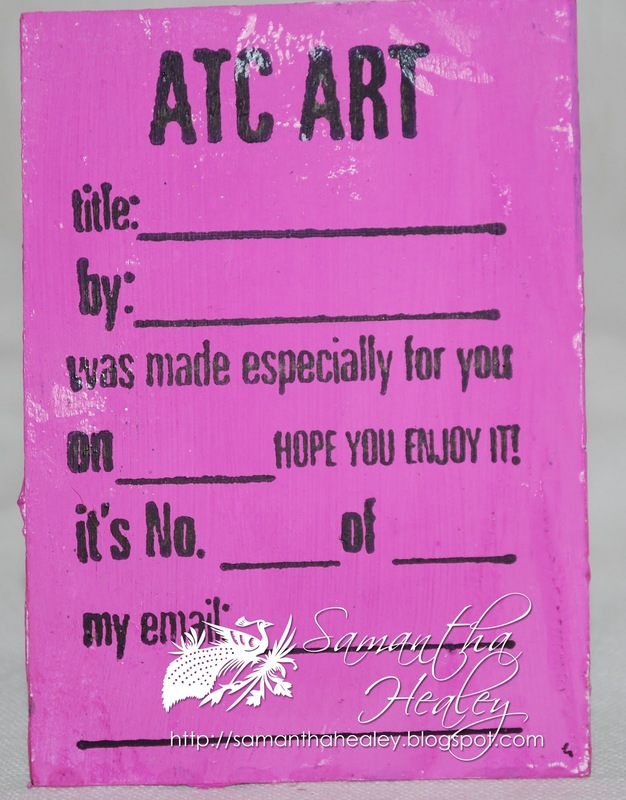 So if you are interested in receiving this ATC from me (I'll fill in the details on the back ;o)) just leave a comment on this post. If you want to double your chances leave a comment on the Ladybug Facebook page as well. OMG! These are stamps!? Uh! Must have them! 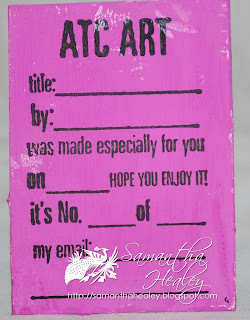 Hi Sam, i would love to do a swap with you for your ATC hun. Also i run a Global Worldwide swap on FB once a month, it started this month and you can join any month you like,if you can't join them all thats fine. I thought a worldwide one would be fun as we can then see how others in different cultures craft and interpret the theme that is set every month, we hope to see you there. If you contact me Vick McClean on FB i can add you to the page! Thanks for the chance to swap with you now, your ATC looks fantastic, i would love to have that in my collection that i have just started. 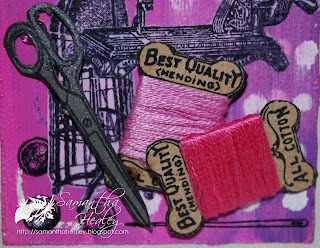 I have crafted all my life but have only ever made 2 ATC's some years back so am now starting tocollect them and then add them all to an album as minature works of art! !